Facts and Myths about Mold and Mildew | MA Restoration Inc.
injury or sickness. Here are some facts and myths of mold and mildew to help you know the difference, but if you are ever in any doubt, contact a professional mold removal company. Mold and mildew are very different things, but they often get confused with each other. There are some fairly easy ways to figure out which is which. 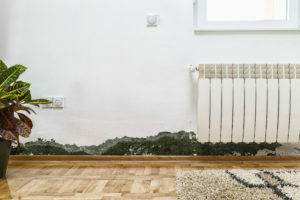 Mold is typically black or green and can be found in your home, nature, or on food. The texture can be fuzzy or slimy but it usually is raised or has some kind of texture. Mildew, on the other hand, can spread out, but it usually stays close to the surface of the thing it is attaching to. Mildew can be grey or white and both are found in damp, dark places. issues and in some cases, with seniors and infants, it can be fatal. Mildew, on the other hand, is gross, but not very dangerous. While it is a good idea to contact a mold removal company to deal with black mold, you can clean up mildew on your own with a household cleaner and a scrub brush. If you have trouble identifying what kind of mold you have in your home, you should have a professional take a look at it just in case. with mold or mildew; there are some things you can do to avoid having it in your home. The best way to avoid mold and mildew is to get a dehumidifier in rooms that are dank or your basement. Ventilation and sunlight can also be helpful to get rid of mold and mildew, so make sure you have a window open when weather permits. Cleanliness is also important to keep mold and mildew at bay. Bathrooms are especially known for developing mold, so make sure you have a regular cleaning schedule for those rooms in your home. than a common cold. If you have a cough, nausea, lethargy, dizziness, asthma, labored breathing, or in some cases memory loss, then you should consult a doctor right away. You should also contact a professional mold removal specialist to search for mold in your home and irradiate it. Sometimes, mold lies within the walls of your home, so you might not be able to see it when it’s there.